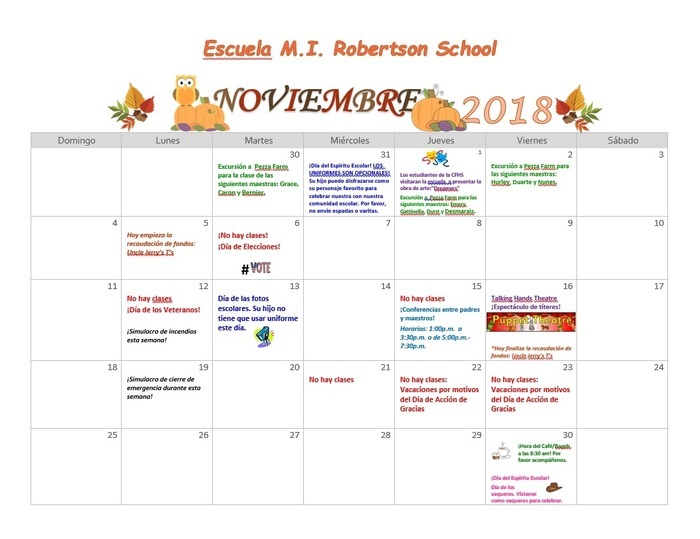 M. I. Robertson Elementary School is an early learning center home to 210 Central Falls Kindergartners and 20 Preschoolers in 11 classrooms. School is open from 8am to 2:30pm each day. Early drop-off is from 8-8:15am. Class sizes range from 18-23 students. Each class is taught by a Certified Educator. Five of the classes of additional Special Educators and/or Teaching Assistants to support inclusive classroom environments. Almost all of the classroom teachers are also certified to teach English Language Learners as well. 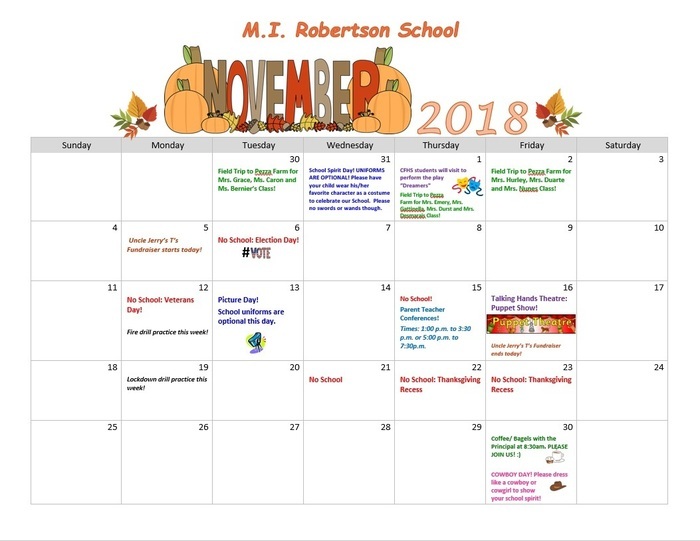 M. I. Robertson School along with the Captain Hunt School comprise the Central Falls Early Childhood Education Program. Our school was named for Margaret Isabel Robertson. Margaret Isabel Robertson was an educator in Central Falls for 51 years but for 30 years was the Principal of the Hunt Street Grammar School. In 1965, the school was named in her honor because of her involvement in community affairs and because she was the school's first Principal. 'Mrs. Robertson' as she was called loved to travel through the United States and Europe, but in 1949, she was a pioneer traveler on the Alcan highway in Alaska.